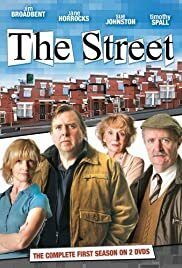 Series of one-off dramas, each focusing on a different house within the same street. EVERYONE is on TV in 2014! Created by Jimmy McGovern, each episode of this series examines a person who is accused of a crime and what led them to end up in the Dock. Dr Edward "Fitz" Fitzgerald is a criminal psychologist. He is rather anti-social and obnoxious but he has a gift for solving crimes. Thus he is employed as a consultant by the Manchester Police. 16 of 20 people found this review helpful. Was this review helpful to you?